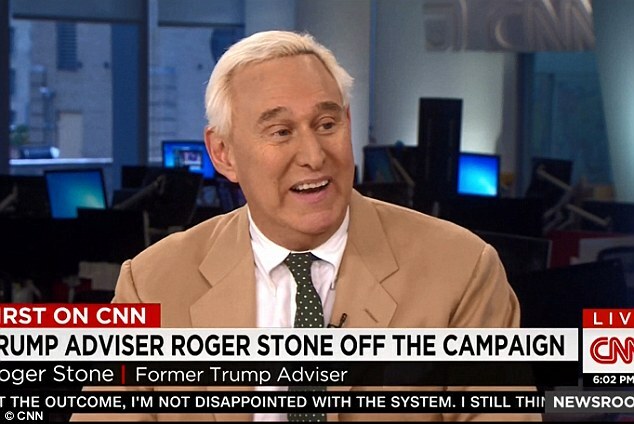 Roger Stone, a former Donald Trump political advisor and surrogate, has officially been banned from making appearances on CNN, the network announced today in a statement provided to Media Matters. “He will no longer appear on CNN,” the statement reads. Back in August of last year, Stone attacked former CNN contributor Roland Martin and current CNN political commentator Ana Navarro, as documented here on the blog. Following Stone’s attacks, former CNN international correspondent Karl Penhaul urged CNN to defend its employees; and while that didn’t (visibly) happen then, the day after Stone resumed his attack on Navarro, he was banned from the network.